In a breakthrough after a decade of deadlock, the Non-Proliferation Treaty's 189 nations proposed new steps towards nuclear disarmament and making the Middle East free of atomic weapons. It was the first agreement in 10 years on the Non-Proliferation Treaty (NPT), which since 1970 has set the global agenda for fighting the spread of nuclear weapons. Diplomats at an NPT review conference approved by consensus a 28-page final document that for the first time laid out action plans on the three pillars of the treaty -- disarmament, non-proliferation and promoting peaceful atomic energy. 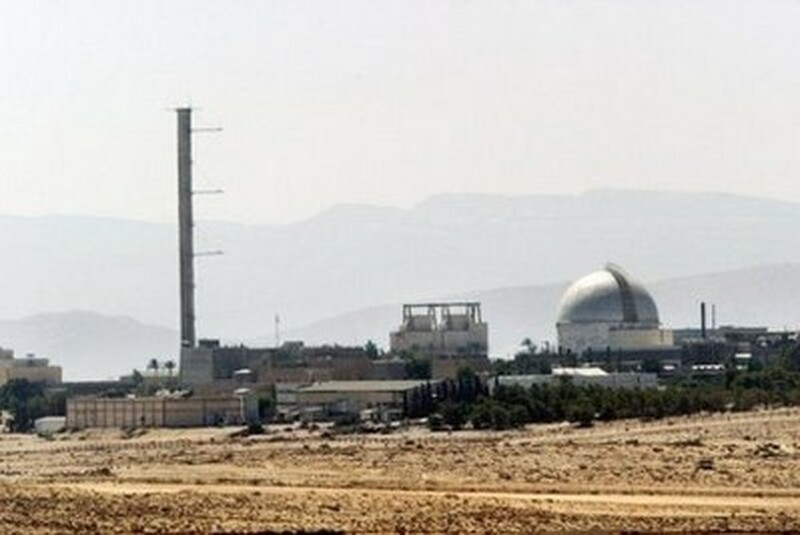 File photo of the Dimona nuclear power plant in the southern Israeli Negev desert. The most controversial item was a fourth action plan, on working towards a Middle East free of nuclear weapons, a move that would in the end require a profound strategic re-orientation in this highly volatile region. US President Barack Obama welcomed the NPT final statement as strengthening "the global non-proliferation regime" but said he "strongly" opposed singling out Israel over talks for a Mideast nuclear-weapon-free zone. The NPT called on Israel to join the treaty, which would oblige the Jewish state to do away with its nuclear weapons. The NPT document came after a month of deliberations at UN headquarters in New York that looked set to fail until almost the very last hour, with Israeli enemy Iran seeking tougher anti-Israeli language on the zone item. Iranian Ambassador Ali Asghar Soltanieh, whom many feared would veto the consensus text, said that despite its ¨limited¨ nature, the final statement was ¨a step forward... towards our common goal of nuclear disarmament. The NPT has not reached an accord in twice-a-decade review meetings since drawing up in 2000 steps towards nuclear disarmament. The treaty is in crisis over how to monitor suspect nuclear programs in Iran and North Korea, and how to get nuclear-weapon states to honor their treaty promise to get rid of atomic weapons. But there was a new mood of cooperation here, which many attributed to Obama's drive to make non-proliferation and multilateral cooperation a US priority. This time there was compromise wording, for instance, that balanced off non-nuclear-weapon states desire to set a deadline for disarmament with weapon states' refusal of such a limit by saying states should be "rapidly moving" to reduce nuclear stockpiles. The wording on the Middle East called for holding a conference in 2012 "to be attended by all states of the Middle East, leading to the establishment¨ of such a nuclear-weapon-free zone. But this would only be a one-time conference, with any follow-up dependent on agreement by all the parties. Israel, which opposes creating a zone until Middle East peace has been achieved, has never acknowledged that it has nuclear weapons. White House non-proliferation adviser Gary Samore said Friday that US officials had told Arab states not to name Israel in the text. He said their doing so could lead to the conference not happening if Israel takes offense and refuses to attend. Samore said he was also not sure if Iran would come because their defiance of UN demands to rein in their nuclear program ¨would be on the agenda." Iran was not named in the text. Diplomats said this was the price of consensus as Iran is a member of the NPT. Egyptian ambassador to the UN Maged Abdelaziz praised the NPT conference for "putting into action an effective process to implement the NPT's 1995 resolution on the Middle East," which first called for the zone. The United States vowed Friday to work for a successful meeting in 2012. The NPT establishes a bargain whereby nuclear weapon states move to disarm while others forego seeking the bomb in return for help to develop peaceful nuclear programs. But non-nuclear weapon states anxious to protect their right to peaceful atomic energy held off a push for tougher nuclear inspections to become the standard.